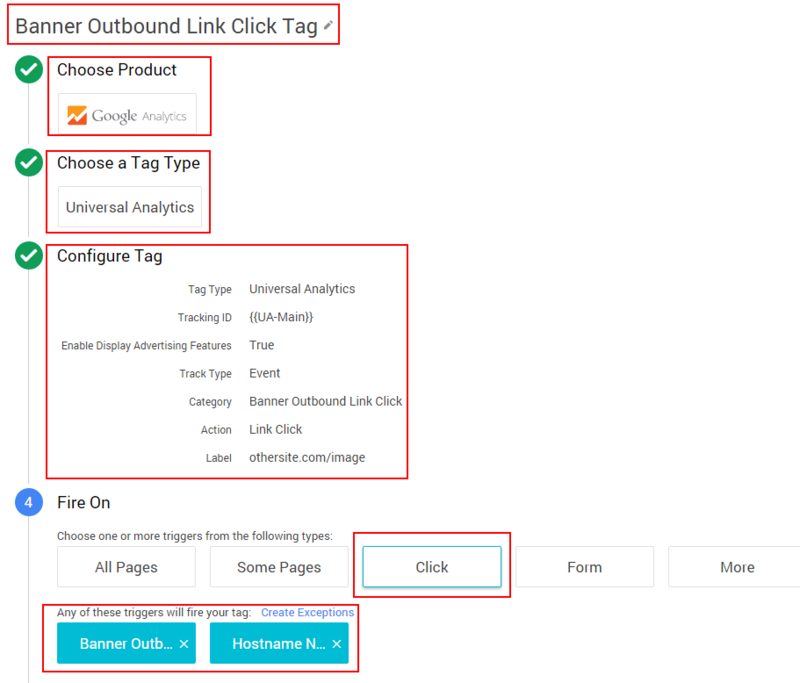 How to Track Specific Outbound Links in Google Tag Manager. Google Tag Manager is good for you, helping you keep track of all kinds of things without having to spend hours and hours of coding. One of those things you may have wanted to track, but felt like it might be too hard? Outbound links. Why would you want to track outbound links? It’s not a common occurrence but there are a few instances where you’d want to know how people are leaving your site. 1) If you have another service housed on a separate domain. You likely have a banner link as a cross promotion on one site and would like to track clicks. 2) You might have an affiliation with another business. It could be a special promotion or a guest blogger, but this is a good way to ensure you have a good idea of how much traffic you’re sending to that 3rd party. 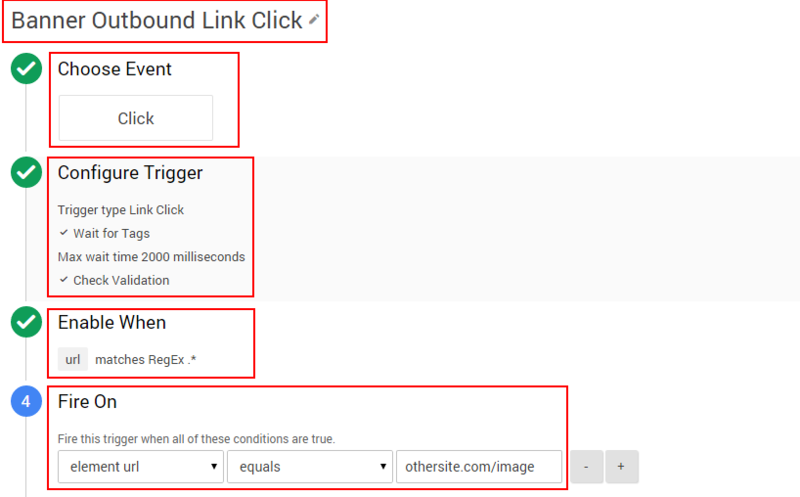 Here are the steps you need to take in Google Tag Manager in order to be able to track specific outbound links as a goal in Google Analytics. 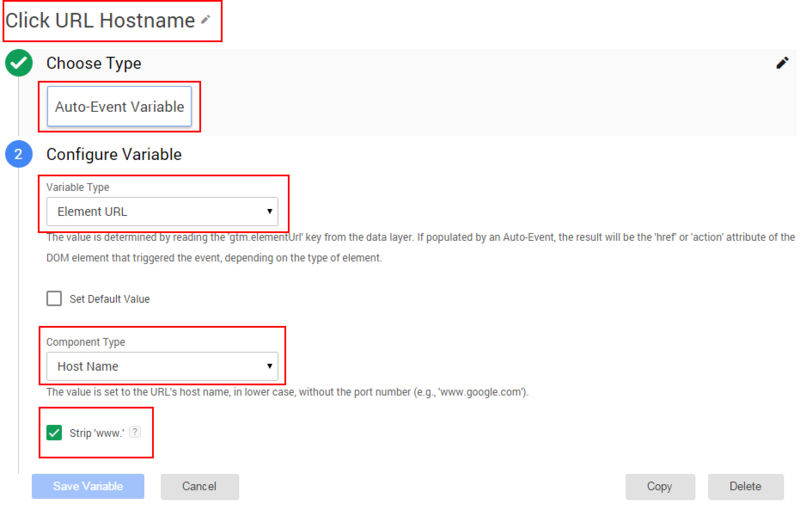 First thing you’d need to setup is an Auto Event Variable to capture the host name/domain. this creates the rule that triggers the recording in analytics. 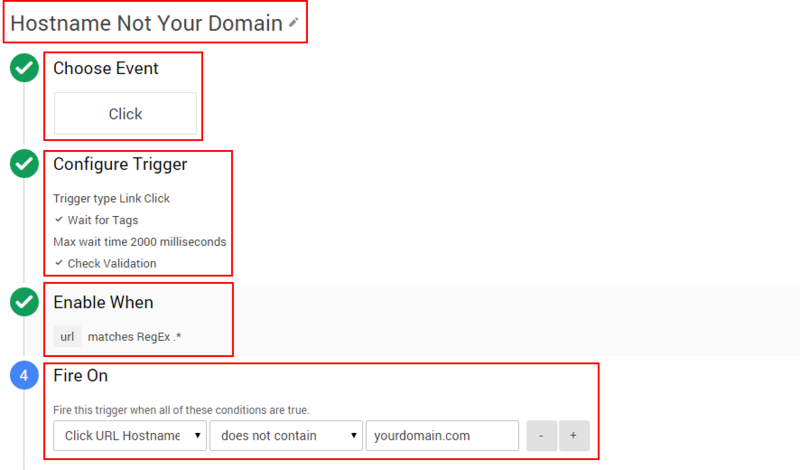 Make sure the URL link is indeed an outbound link (going to new domain). The second trigger is the specific outbound link. An essential part to tracking the specific page! Now you need to combine these two triggers you just set up together as the rules for them to fire. Now you’ve made a rule that start to track specific outbound links! Remember to preview and test if the tag is firing, especially after you’ve just created it! It’s also a good idea to publish and then test if it’s recording in Analytics under Real-Time > Events. You’ll also need to setup an event goal in Analytics in order to track it!